How is state violence folded into the experiences of migration and racialization? In what parts of the city do we feel “safe”? How does our status matter? 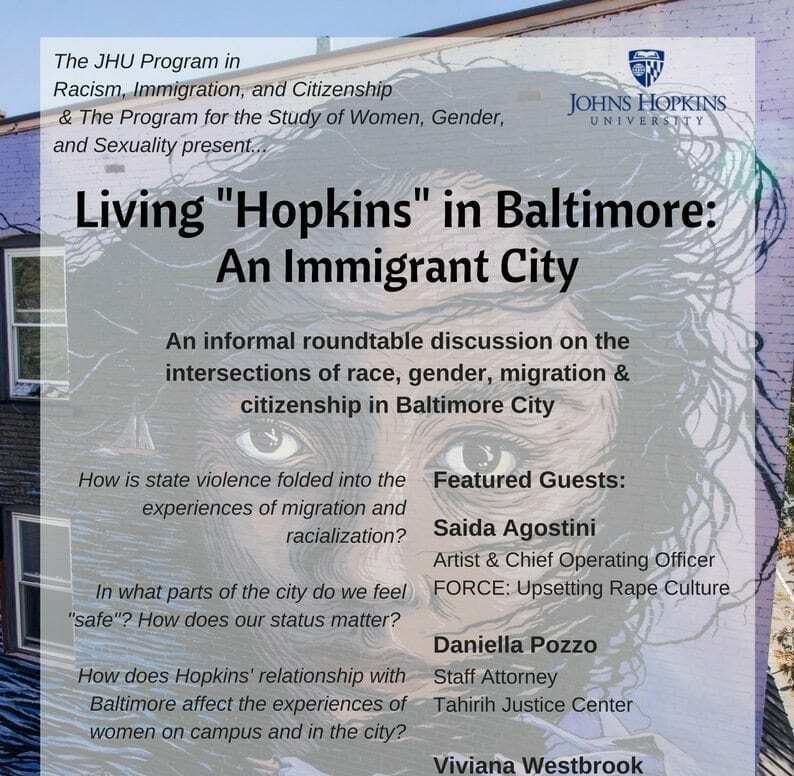 How does Hopkins‘ relationship with Baltimore affect the experiences of women on campus and in the city? How might intersectional collaborations strengthen struggles for social justice in the current era?